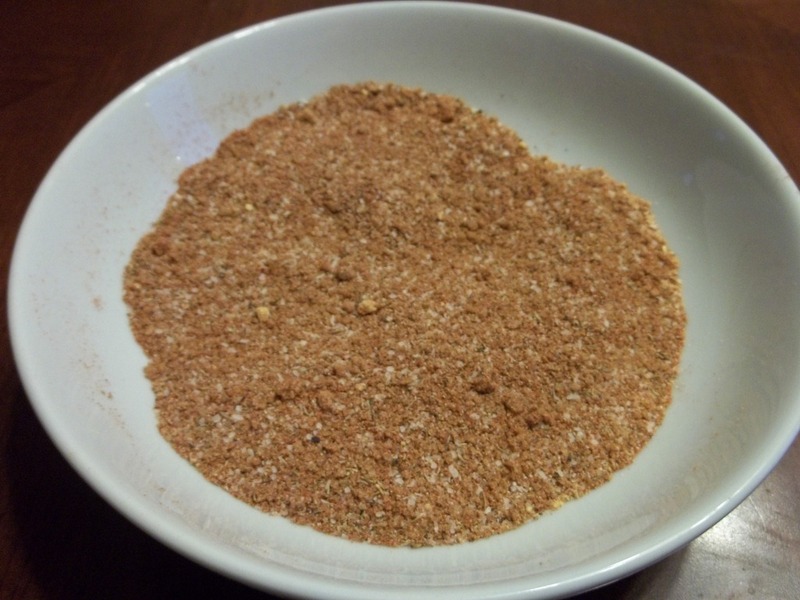 Add all the dry seasonings and brown sugar to a bowl. 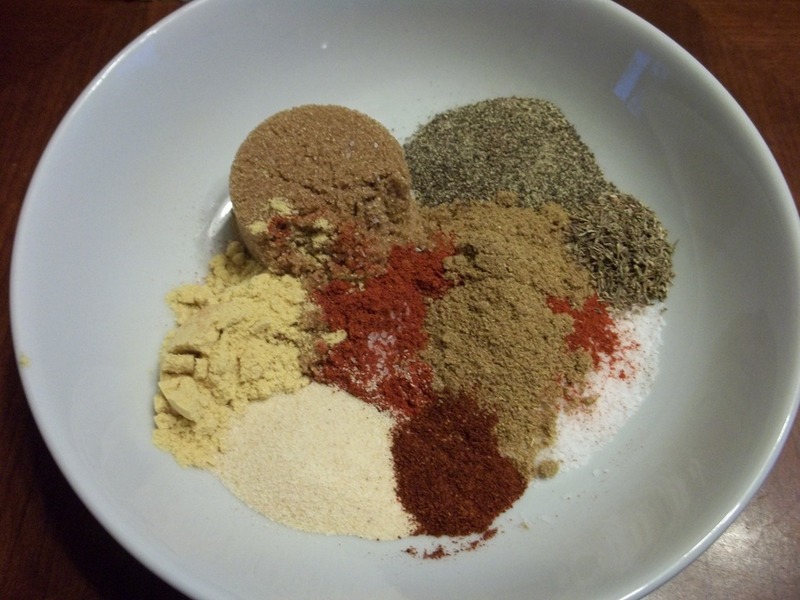 Mix seasonings. 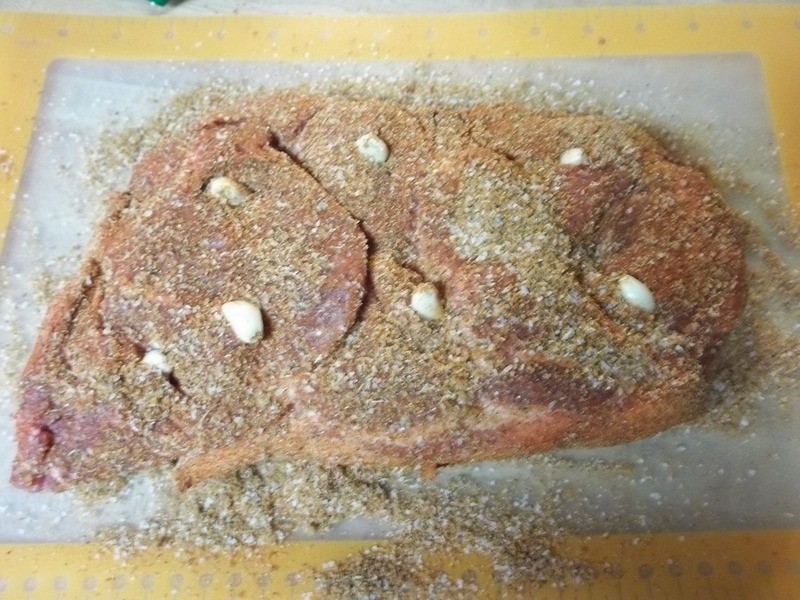 Cut slits into pork meat, and insert garlic cloves into the slits. 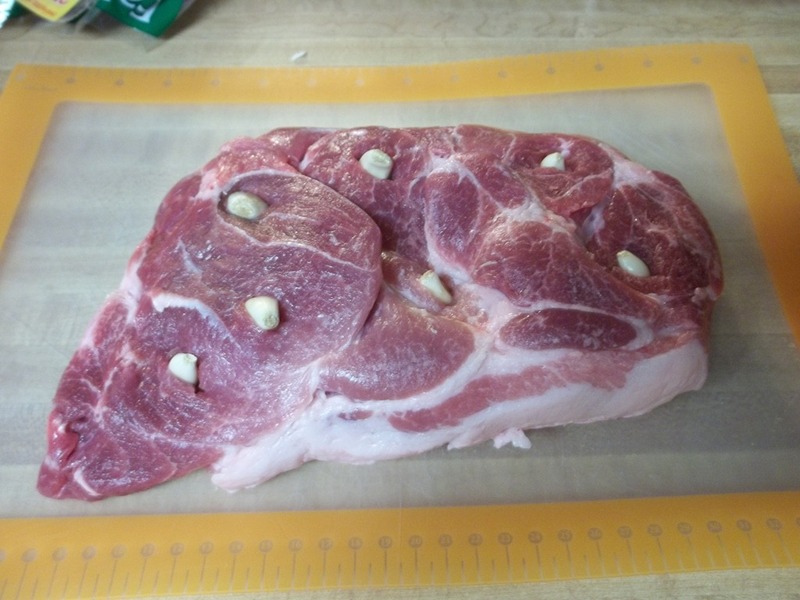 If you have a fatty side to your pork shoulder, cut diagonal slices in the fat to create a diamond pattern. Massage the dry seasoning rub all over every inch of the pork shoulder. Don’t be afraid to get in there and really rub as much on as you can get. 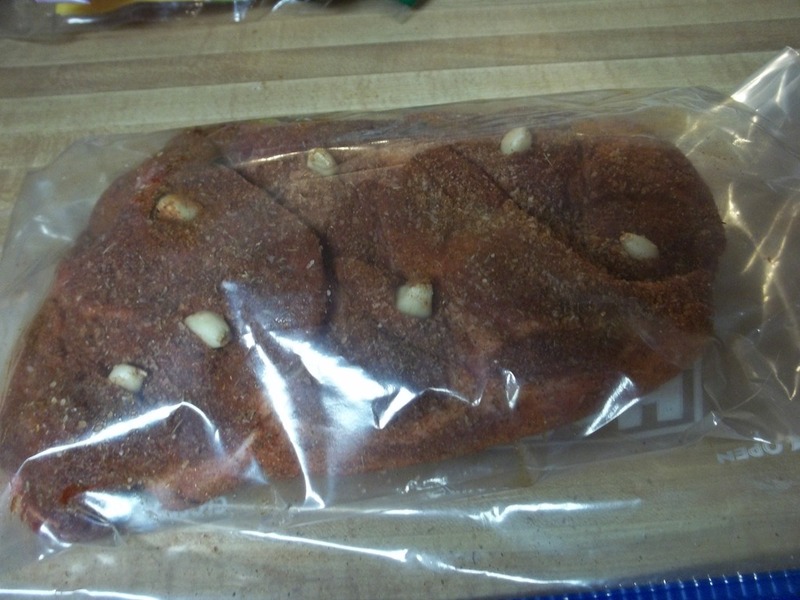 Place pork in a bag, container, or saran wrap. Then, place in fridge overnight. 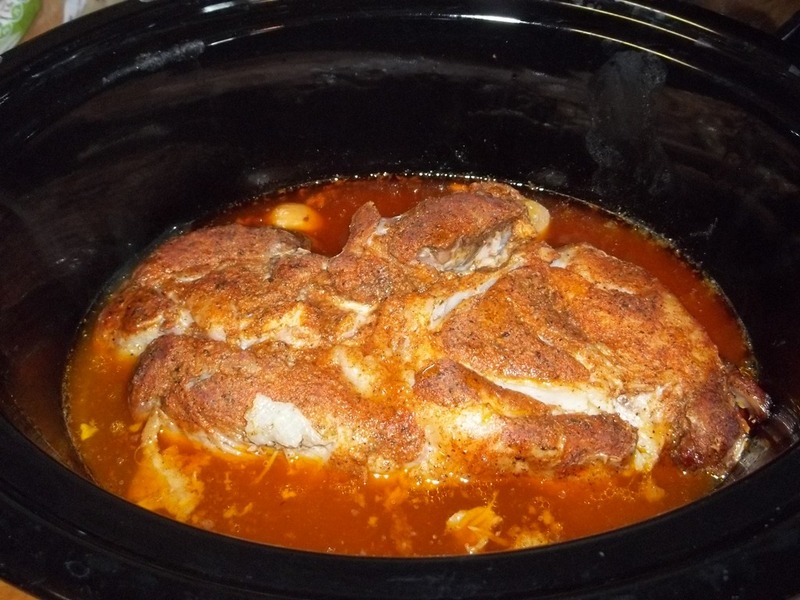 The next morning, place pork in crock pot/slow cooker insert. Preheat oven to 350 degrees and then bake in the insert uncovered for 1 hour. Place crock pot/slow cooker insert back into the crock pot. Add water and apple juice to the pork. Cover and cook on low for 6-7 hours. 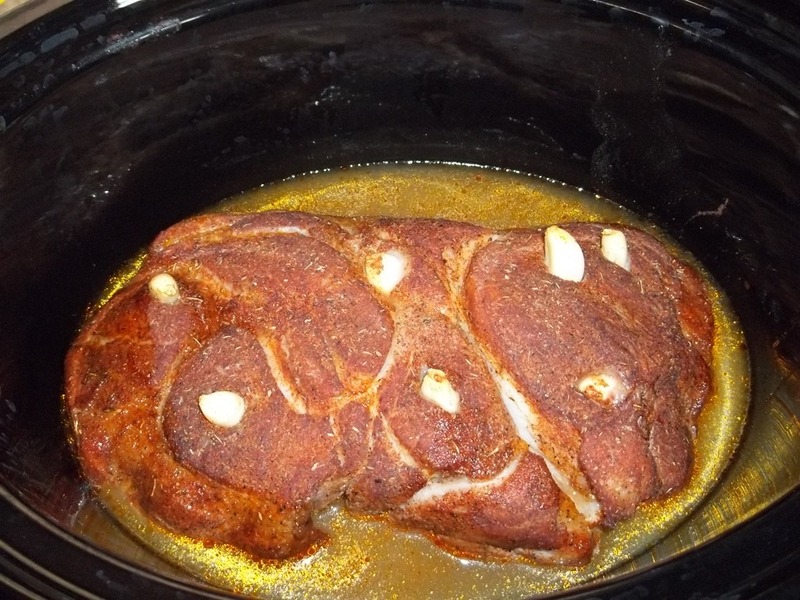 Remove the pork from the crock pot. It will fall apart as you remove it and place it on the cutting board. 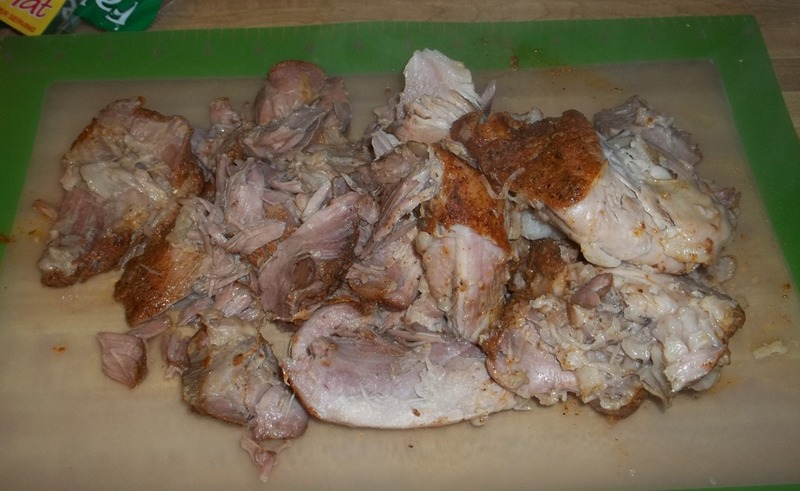 You can use a fork or tongs to shred the pork…it is that tender! We save some of the cooking liquid from the pork to drizzle on top of the meat and add to the container of leftovers. Enjoy!!!! 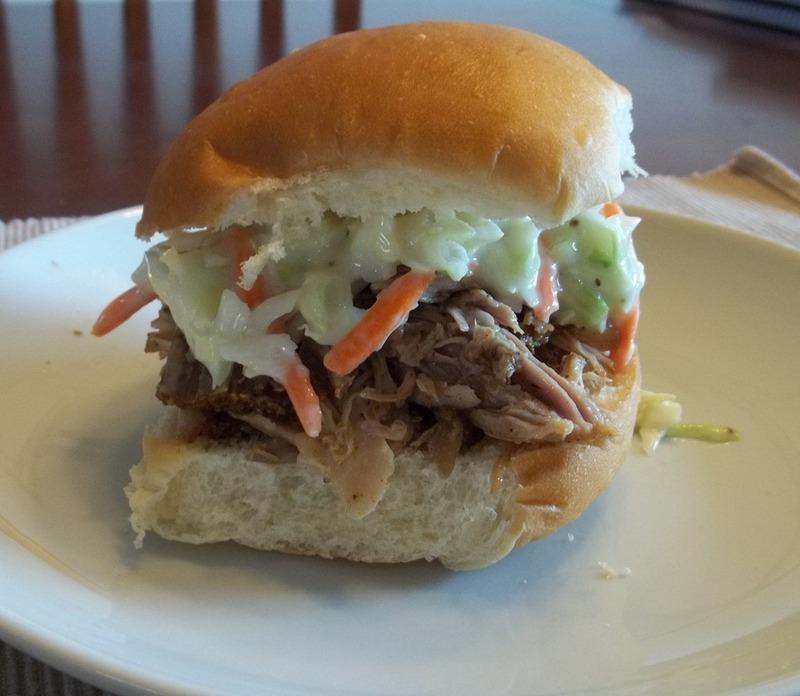 My husband likes to eat his pulled pork sandwiches with bbq sauce and coleslaw (it is a southern thing). 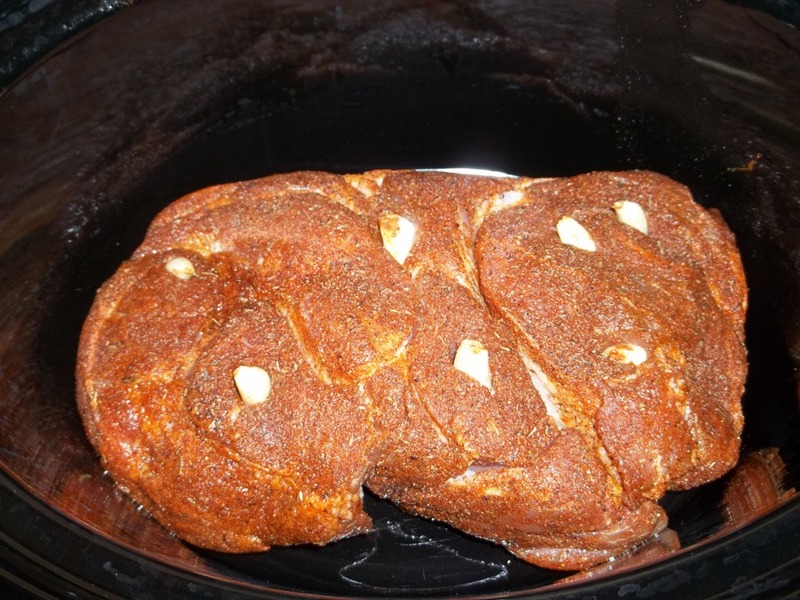 This entry was posted in Dinner, Recipes, Uncategorized and tagged crock pot, crock pot pulled pork, delicious, easy, food, garlic, pork rub, pulled pork, recipe pulled pork, slow cooker, slow cooker pulled pork on October 2, 2012 by fromfltond. Must make something in my slow cooker now!